On April 17, 2013, Governor Sam Brownback signed into law the Kansas Health Information Technology Act (KHITA). This law amended the Kansas Health Information Technology Exchange Act (K-HITE) [K.S.A. 65-6821 et seq.] Both K-HITE and KHITA promote the electronic sharing of health information among providers in Kansas and regulate health information organization (HIOs) operating in the state.  KHITA transferred this responsibility from a private corporation, Kansas Health Information Exchange, Inc. (KHIE), to the Kansas Department of Health and Environment (KDHE), effective July 1, 2013. The new KDHE Office of Health Information Technology, known as KanHIT, is ready to serve you. In order to ensure the smoothest transition from KHIE, KanHIT will maintain existing policies and procedures of KHIE. Over the next several months, the policies and procedures will be reviewed and, as necessary, modified and promulgated as administrative rules. If you have any questions about electronic sharing of health information or about the regulation of HIOs, feel free to contact the KanHIT staff.